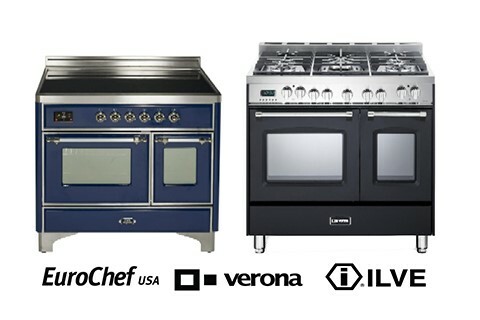 EuroChef USA is the exclusive US importer of the ILVE and Verona brands of high-quality cooking appliances, made in Italy. These brands offer innovative Italian crafted ranges, built-in ovens, cooktops and ventilation systems that are internationally recognized and exquisitely designed. The ILVE brand represents the finest in Italian luxury culinary products. Ranges are completely customizable with endless options and handcrafted by local artisans. Verona offers excellence and performance for a truly professional-grade home kitchen. The collection of ranges, cooktops, and wall ovens are designed and assembled in Italy to provide the perfect mix of elegance and functionality.